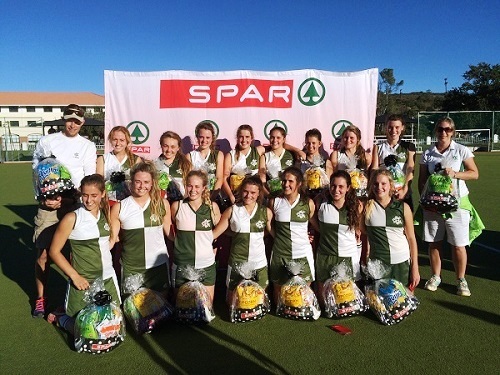 The title of Port Elizabeth North champions will be up for grabs when the opening tournament of the SPAR Eastern Cape Schoolgirls Hockey Challenge is played at Union High in Graaff-Reinet on Friday. Hundreds of schoolgirls are looking forward to this annual challenge, being played for the second time in the Eastern Cape. A total of seven schools will contest Friday’s matches as the organisers, under national tournament director Les Galloway, strive to build on the momentum created last year. “It was a new concept last year, but now some schools have had a whiff of what it is all about and there is huge excitement for this year’s tournaments,” she said. Besides KwaZulu-Natal, where the concept was started seven years ago, provincial tournaments will also take place in the Western Cape, Free State and Gauteng. Hosts DSG won the inaugural PE North tournament in Grahamstown last year and will be back to defend their title in Graaff-Reinet. They will come up against Union High and Volkskool from Graaff-Reinet, Gill College from Somerset East, Kingswood and Victoria Girls from Grahamstown and Brandwag of Uitenhage. The Eastern Cape Challenge will take a break after the opening event due to the school holidays. The provincial finals will be played at Woodridge on August 12.